I had Eric Anderson at Midwest Musical Imports custom design and build this mechanism for a Wolf bocal that I have. 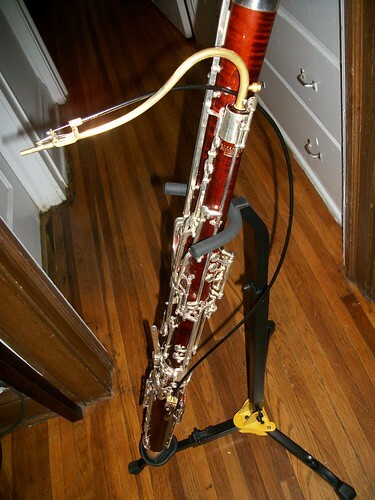 The idea was to create a key that opens a pinhole drilled in the bocal, operated by the right hand, and have the entire mechanism completely independent of the rest of the bassoon. 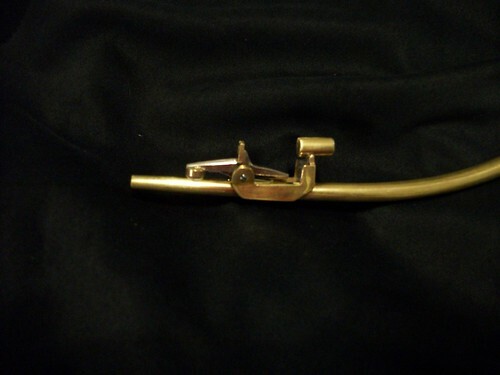 The lever installs on the right hand crutch bracket, and operates a bike cable that opens a flagolet key on the bocal where a pinhole has been drilled. The key lever is a saxophone palm key, everything else was built from raw key stock by Eric (and even that saxophone key was considerably altered). Based on the design concept of bocal flagolet keys on the Wolf Contraforte. That’s not the totally final design. The touchpiece was removed and the arm shortened considerably, then the touchpiece put back on. 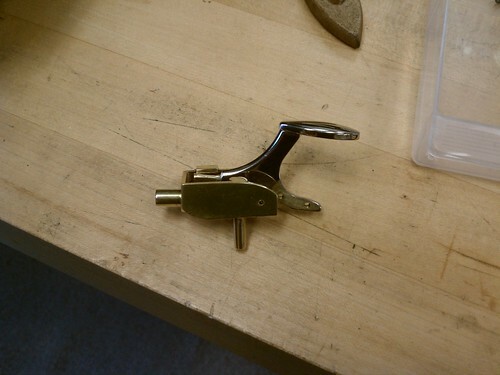 A roller was also installed that enhanced the lever action to pull the cable more. The flagolet allows for easy response of notes from C5 and up and can be added to any of the standard fingerings for those notes. I call it a “High G” key because that note comes out so perfectly clearly with the pinhole open. 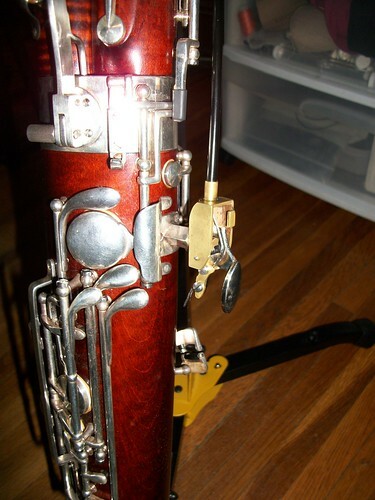 Because the key closes the pinhole, it allows for the same pianissimo attack of the lowest register notes as well. This bocal has also been modified for electric playing. Reed Making: how I do it, part 3.